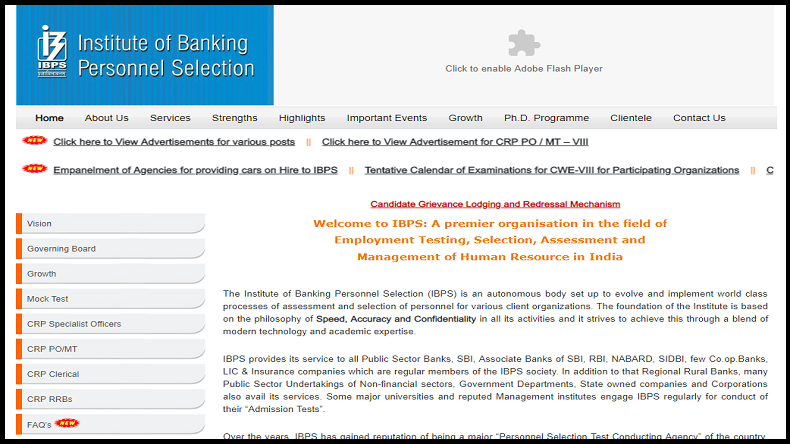 IBPS PO Recruitment 2018: Institute of Banking Personnel Selection has recently released the notification for recruitment of Probationary Officers and has invited applications for the same on its official website. Interested candidates can apply for IBPS PO 2018 recruitment exam on or before September 4, 2018. IBPS PO Recruitment 2018: The official notification for the recruitment of Probationary Officer post was recently released by the Institute of Banking Personnel Selection. Interested Candidates can check the official website and go through the notification before applying to the post. The online application process is going to start on the official website from tomorrow, August 14, 2018. According to reports, the last date for online registration for applying to the posts is September 4, 2018. The notification on the official website says that the candidates applying for the post should not be less than 20 years of age and not more than 30 years at the time of registration for the post till August 1, 2018. As far as the educational qualification of candidates to apply for IBPS PO 2018 is concerned, candidates should be a graduate from recognized university. As per the notification online, relaxation of age is given according to Government rule for SC/ST, Ex-Servicemen, OBC and PWD candidates. Candidates can check the detailed notification on the official website of IBPS and then carefully fill up the application form online. Candidates need to pay a certain amount of fee along with their application form. Reports say that the IBPS PO 2018 Prelims and IBPS PO Mains 2018 exam will be conducted by the Institute of Banking Personnel Selection on 13th, 14th, 20th, 21st October and 18 November 2018. Meanwhile, the results for the same will be announced during the month of November and December this year.